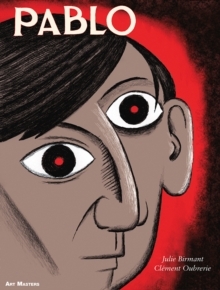 Julie Birmant and Clement Oubrerie's award-winning graphic biography of Pablo Picasso captures the prolific and eventful life of one of the world's best-loved artists. Pablo takes in Picasso's early life among the bohemians of Monmartre, his turbulent relationship with Fernande, and the development of a career that began in penury, continued on through scandal and frustration, and reached its climax with the advent of Cubism and modern art. This stunning graphic biography shows how Picasso's art developed through his friendship with the poets Max Jacob and Guillaume Apollinaire, the painter Georges Braque, as well as his great rival Henri Matisse.